In 2003, Noah Tepperberg and his partner Jason Strauss, under the auspices of their company The TAO Group, opened MARQUEE Nightclub in New York City. Sixteen years later, their portfolio of establishments within the United States and beyond has elevated them to the beaming pinnacle of nightlife, entertainment and hospitality on a global scale. Now, their World’s Best stature will expand to include Singapore, as, this weekend, MARQUEE Singapore, the brand’s first outpost in Asia, will open its doors. 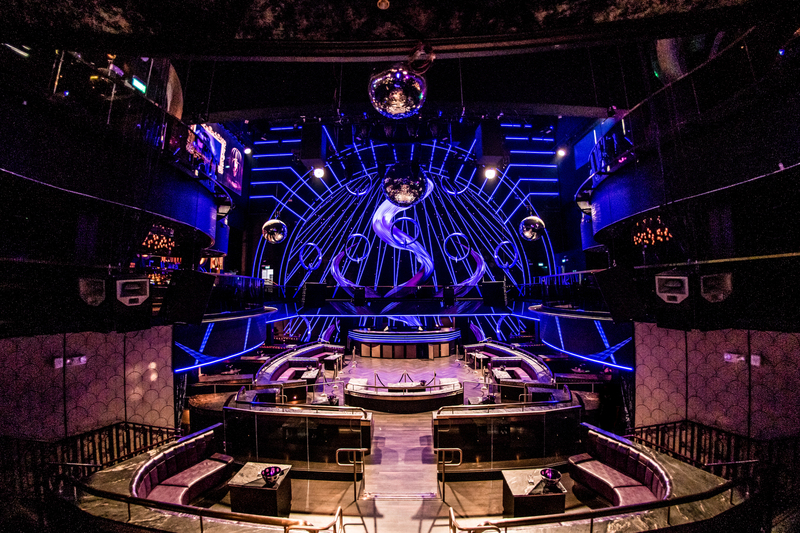 At 2,300 square metres and with ceilings that span 30 metres, MARQUEE Singapore is Singapore’s largest club. 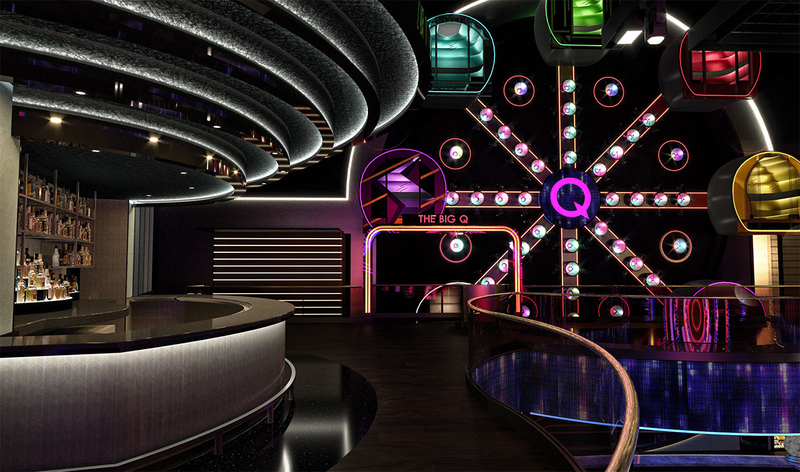 Its thrall of staunchly next-level design and technology includes a one-of-a-kind ferris wheel wherein each cabin is a photo booth, a three-storey slide and a colossal 20-metre-high custom LED native 8K resolution screen, boasting 32 million pixels, that frames the DJ booth. And we haven’t even commented on its entertainment lineup, which, for this opening weekend, includes an appearance by A$AP Rocky, as well as performances by Tiesto and Afrojack. MARQUEE Singapore will also be integrated with two other venues, Avenue, a speakeasy-styled lounge and Koma, a Japanese eatery and sushi bar. Let’s start with the most obvious question: Why Singapore? We looked at it as a gateway city to Asia. Marina Bay Sands, as a resort, is so amazing – there are so many reasons to go there. But it didn't have much of a nightlife scene so we joined up and added to the firepower it already has. Locals and foreigners alike come here and that made it feel like a perfect site for us. To be able to open in one of the most iconic buildings in the world that has thousands of people staying in it every day, is an opportunity we couldn't say no to. Singapore has a culture in clubs. There are many other countries in the world which are bigger that don't have it. 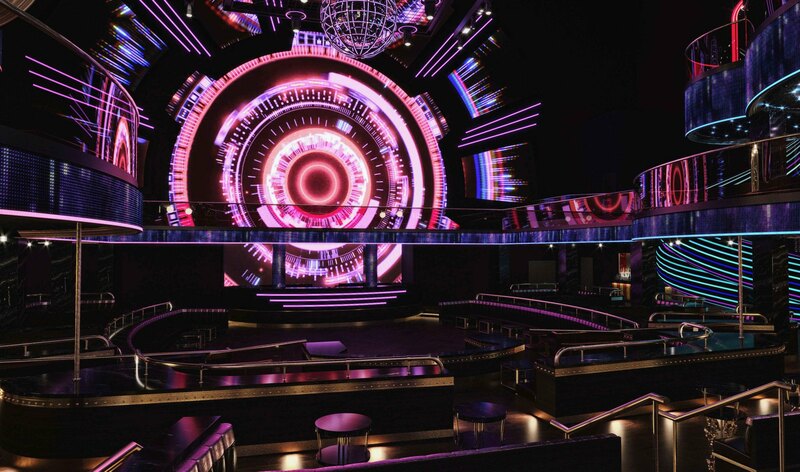 Where do you want MARQUEE to stand in Singaporean clubland? Being a global company with outlets in New York, Las Vegas, Chicago, Sydney and Miami gives us an unfair advantage. We have access to talent and other resources and relationships that the local players don’t or don’t have as much of. But being located in Marina Bay Sands is already different. We're in a building that has so many activities. It's not so much about what's going on in, say, Clarke Quay – it's about being in this building and cultivating our own place in the market. You mentioned in your opening address that you wanted MARQUEE to "be for the Singaporean community". Why is that important to you? Ultimately, you can have international guests and they can love you. But they only come once or twice a year. Similar to expatriates living here, as well. To become an iconic venue that can be here for decades, you have to have the strong support of the people who live here. I'm third generation and I have friends who used to come to our clubs when we were just starting out and now their children go to our clubs. We've been able to build a generational business and hopefully we can do it here, as well. But we need to have the people here who grew up here and have families rooted in Singapore to become your loyalists. We've paid attention to what we think the market wants – we've tried to price everything accordingly, bring the type of music and hire a lot of local faces, all the while being conscientious about not poaching staff from other competitors. Coming from a more liberal part of the world, was there an issue you faced here that stumped you at first that you had to overcome? I wouldn't say “overcome”. We had to get educated. Our partners are pretty familiar with Singapore, given that they've been here for 10 years. We didn't come here on our own and opened a standalone venue and had to learn everything. MBS has been our partner from day one and it told us what we could and couldn't do. It wasn't a concern because we had a local partner. What can you tell us about the music policy of MARQUEE? It's going to be progressive. As I said earlier, we're not just going to programme electronic music. We will be doing live music, pop music, urban music. If we can, we'll do everything from K-pop to hip-hop. We want to bring a lot of culture here and entertainment for all types of people. We built a space that will lend itself well to many genres. We won't focus strictly on EDM, although, that will be the most prominent. In America, our clubs feature a lot of hip-hop and pop acts. Hopefully, we'll be able to bring them here. What would you say is the running theme that MARQUEE, Avenue and Koma share? Cutting-edge design. All of them are beautiful and have an aesthetic that isn't found in most venues. Definitely not cookie-cutter; they're all very unique. All of them use the latest and greatest technology – whether it's the kitchen equipment, the lighting or the sound. Its known that the TAO group is a legendary name in nightlife. What would you say has been your day-one philosophy that you still fall back on? Thank you. It’s all about the guest experience. The show starts at the rope – from the second people get to our venues to the second they leave. We want to give everybody the best possible experience. We treat the venues like our own home and we get our guests to treat it like theirs. We don't call people customers/clients, we call them guests because we want them to leave feeling like they had a good and fair experience. On top of that, we give people a feeling of value, as well. The two combined make people feel good about coming to our places. Lastly, what would you say about MARQUEE to the person looking for thrills on a Saturday night and is willing to go the distance for them? They can get a full, one-stop-shop night-out. With one taxi or MRT ride, they can come here and get a great meal, great drinks then head to MARQUEE and have a comfortable night out – at every stage, they’ll get an experience they can’t get anywhere else.They don't have to leave the building. We have a lot of flexibility with the different venues we have here.